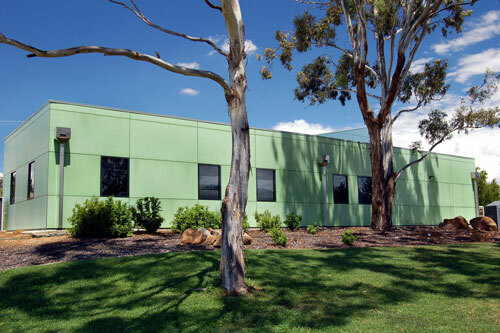 The project involved a range of consultants: Head contractor – ABA Constructions, Structural – Van Leewen Associates, Electrical – Rudd & Partners, Mechanical – DAR, Exterior colours – BH Graphics, Office fitout – Hughes Bruce, Exhibition design – Brandi Exhibitions. 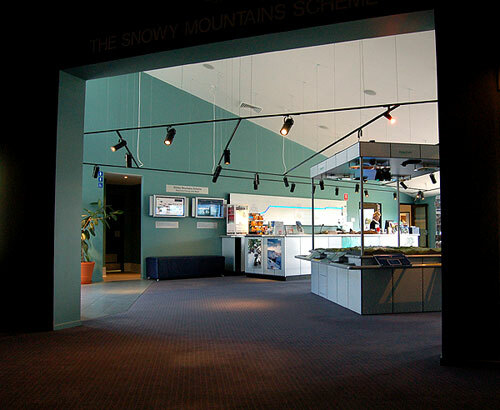 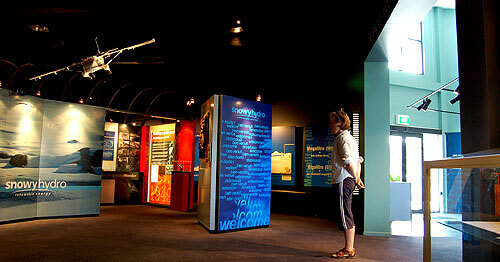 This is a high-profile facility at Cooma, visitor’s gateway into the Snowy Mountains region. 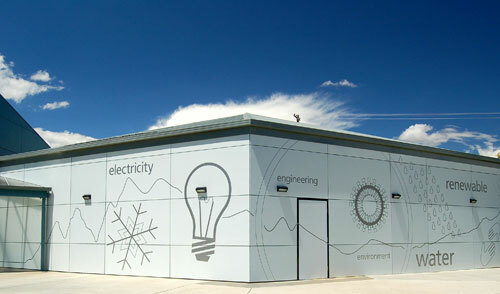 The building responded to a need to highlight a new educational image for the client, as a provider of clean, green and sustainable energy. 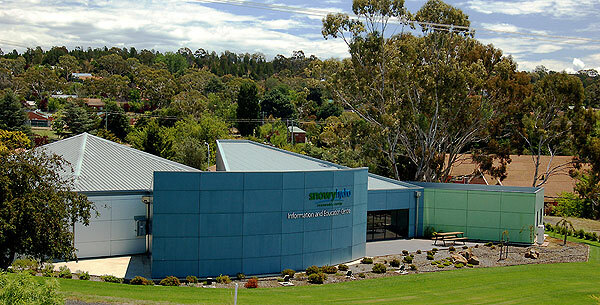 The development included a budget-conscious refit of a 1950s octagonal building, with new, state-of-the-art theatre and exhibition facilities, foyer and administration block. 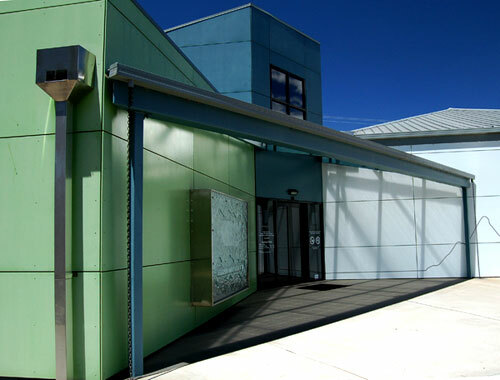 The energy-efficient development capitalises on the geometry of the original building. 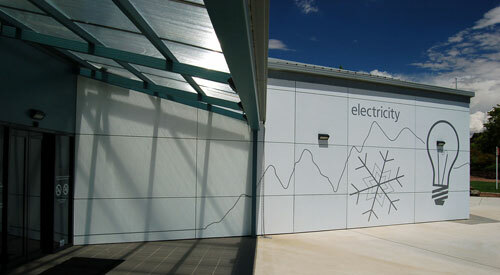 It is designed to house the story of the Snowy Mountains Scheme, and celebrate sustainable energy production. 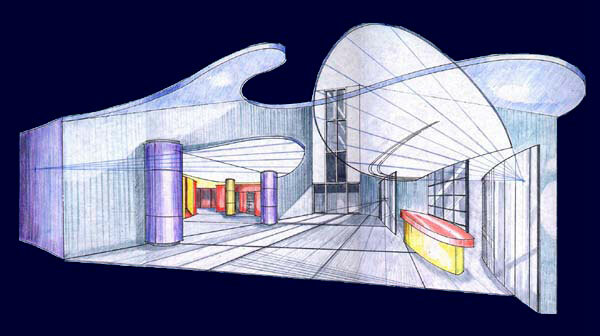 The result is a sculpted interior with external interplay between buildings and landscape.